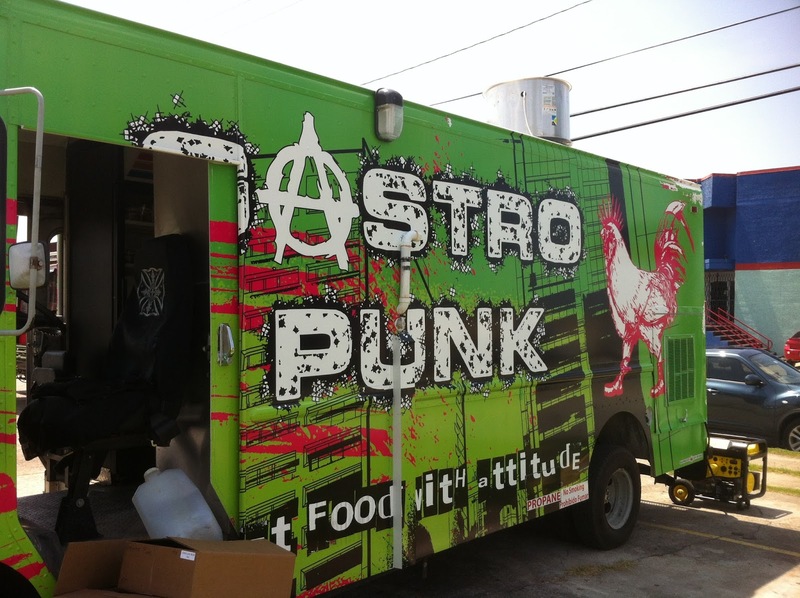 Headed over to the Houston Food Park (1504 St. Emmanuel) to try out one of the newest trucks on the scene in Houston. Today was their first time in service, so I'm sure some of the rough edges will smooth out. The menu looked interesting and my food was good. I think this truck will be a keeper. 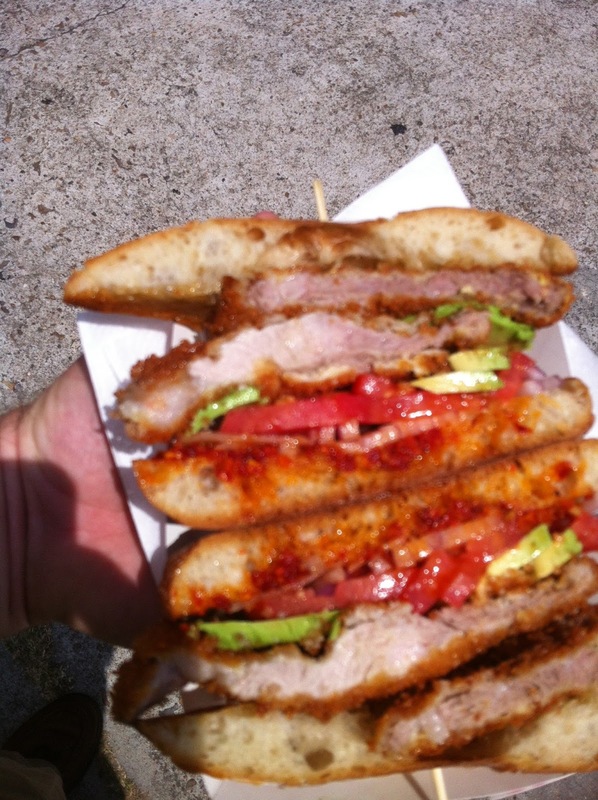 A breaded pork cutlet, fried very crispy on a very nice chibatta roll. Sun-dried tomato pesto, fresh tomatoes, avocado, and lettuce. Serviced kind of club style, sliced on a skewer. Good thinking too, I don't think I would have known where to start on a sandwich this big without that touch. I'm going to nit pick here about the sandwich, but don't get me wrong, I liked it a lot and will have it again. Now for the nit picks. The sun-dried tomato got runny from the heat of the sandwich making it a bit runny (If there are any typos in this review its because my greasy fingers slipped, lol). Most Milanese style meats are pounded thin before breading and frying, this is a pretty thick pork cutlet. You get plenty of meat, but its a mountain of a sandwich. Its a good sandwich, I'm just not sure it should be called a Milanese sandwich. Synopsis: Come hungry, but don't wear your best shirt. 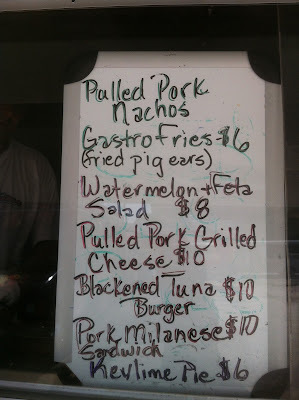 they were at our apartment complex, and even though alot of stuff was sold out, the pork nachos, dork burger, and suicide burger were GREAT!! i would recommend trying them they were definitely worth the price.